Do you remember my stripped wall? Well, I still need to dress the one you see when coming out from the bedrooms. I had some pictures in the basement but at the moment I chose one my parents had in their apartment when they were living here in Mallorca. 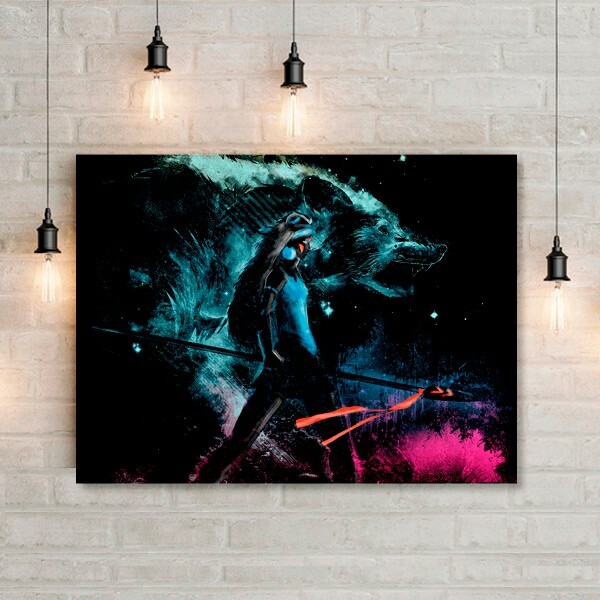 My mom is in love with it and though it is not my style it fills the wall. While looking on the internet for some ideas or pretty prints, I stumped into latostadora.com. 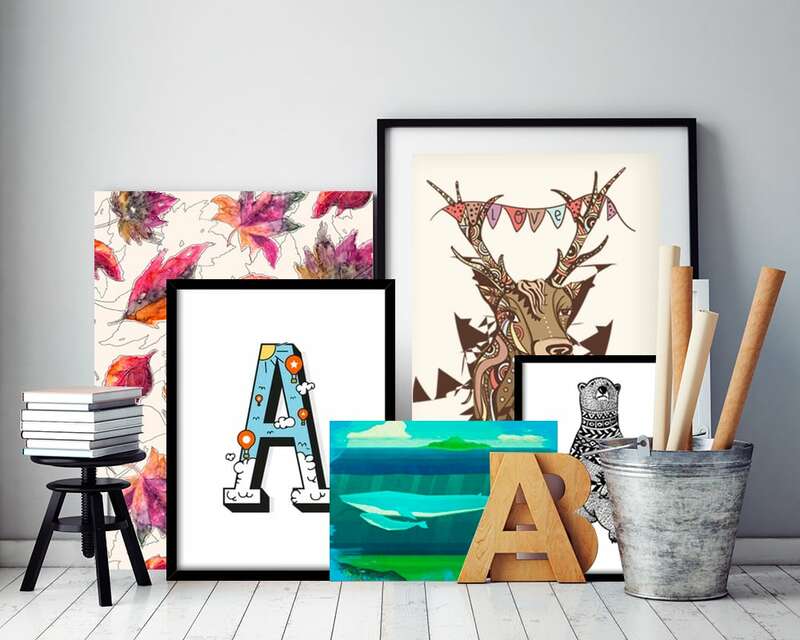 I knew it because they used to make T-shirts and now they just launched Home Art, which consists of a huge amount of pictures (canvas or framed) in an extended variety of styles. They offer compositions from more than 20.000 artists from around the world, it’s difficult to choose between all of them! The girls fell in love with this one, obviously. 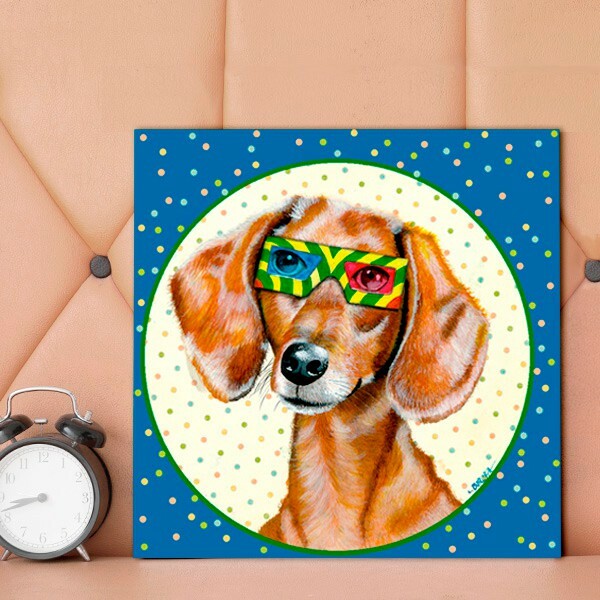 They are even thinking about doing some psychedelic glasses for our doggie. This would be awesome for my craft room!! I love when I get up really early with an idea on my mind and can work while enjoying the silence and peace… it’s almost a meditation. And I think this one would be perfect for my stripped wall, don’t you think? It has the perfect measures for that wall, and it would add some light to the bottom of the corridor as it is darker. The truth is there are so many it is not easy to decide… but with the help of my little ladies I’m sure we can agree on one and the wall will look great! Stay tuned so you can see my next entries and see how we are doing not only in the corridor but on the rest of the home as well. If you want to see some other projects you have them here. 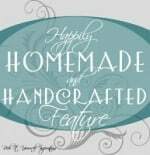 This entry was posted in Inspiration and tagged Decor, home decor, Picture, Prints. Good Morning Pili! All those pictures look very bright and cheerful! I like the ones with the bear and the deer on the last photo! But I think the one you picked would look great on your striped wall, I like that peachy tone! And how nice to have the painting from your mom up, i’m sure she loves that! Happy Friday friend! Hi, Katrin!! Good morning! I love the deer one too, so funny with the bunting… My mom is happy every time she comes and see the picture, it brings good memories. Enjoy your Friday and the rest of the weekend!! Hi Pili! It’s true, it’s hard to choose from all of these pictures, my favourite is the one with the quote! 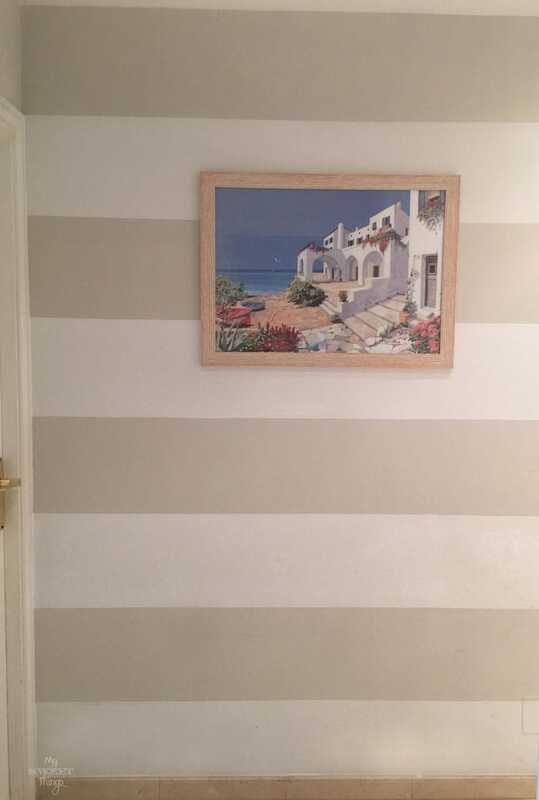 Btw the striped wall is amazing, I would love one in my house! Hi, Ntina!! Yes, the one with the quote is great, I love to work most of the time in silence but I can do it only when I get up really really early… then the girls wake up and silence is over lol. Beautiful art! Pinned and tweeted. Thank you for sharing at #overthemoon. Nice variety of artwork! 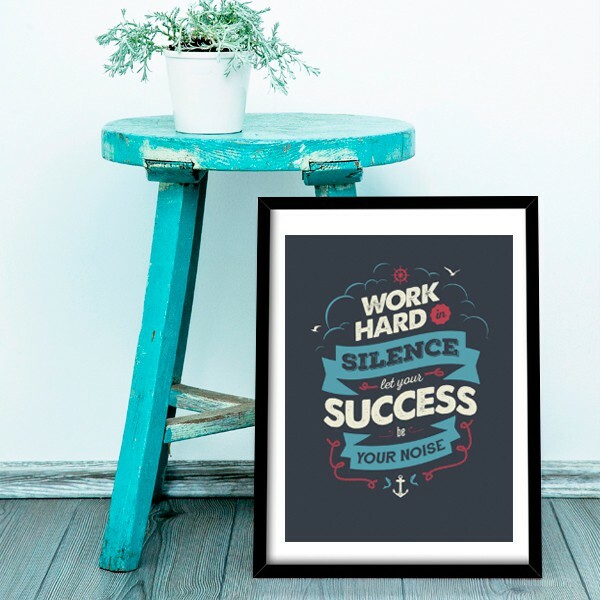 I love that quote of working hard in silence… Definitely something to think about. Thanks for sharing and linking up with us at #TALENTEDTuesday. What a nice collection. I can’t wait until we move into our new house and we can start decorating the walls with beautiful things like this. I’ll be keen to see what you decide on. Pili, I really love that striped wall. I have one but the stripes are vertical. 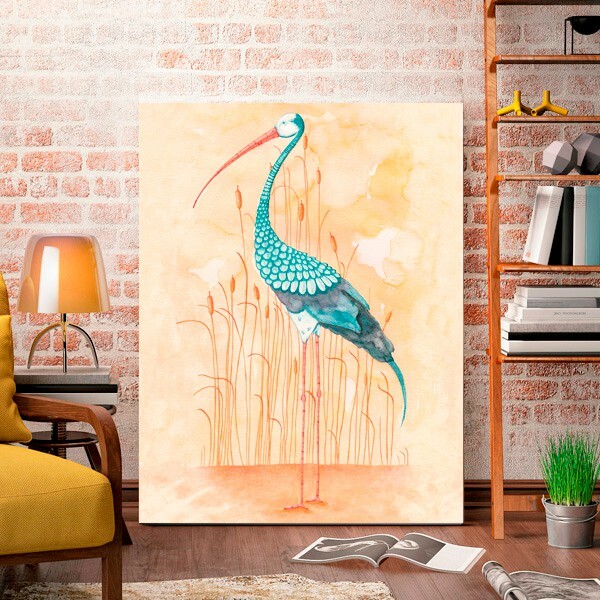 The prints that you’ve chosen are really unique I think you’re right that the picture of the bird would bring a lot of lightness into your hallway. I really like the pictures in the last picture also they are fun and colorful, you have a good eye for cool art.